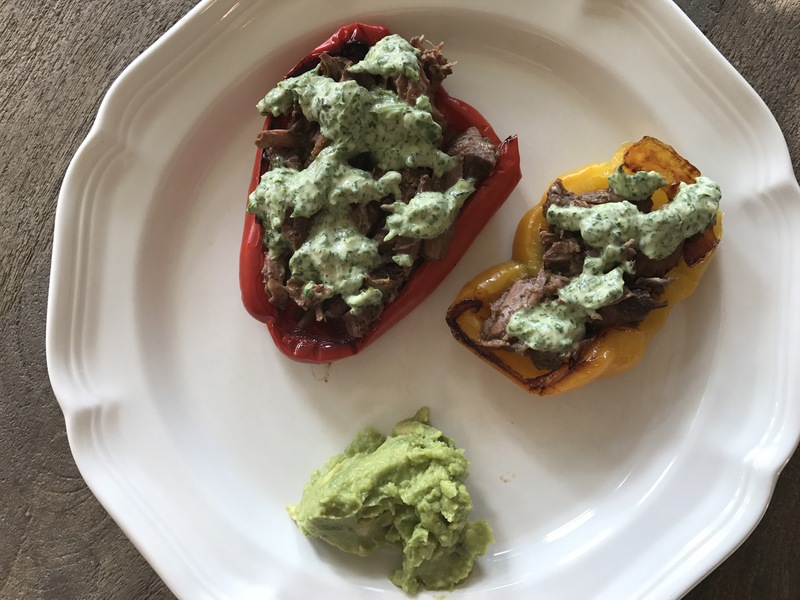 I love following the Whole30 Recipe Instagram feed because they have a new guest posting recipes each week, so you really get a wide variety of recipe options! This one was posted recently by @pretend_its_a_donut and I just couldn’t pass it up. We love pulled meats (is that even a thing??) 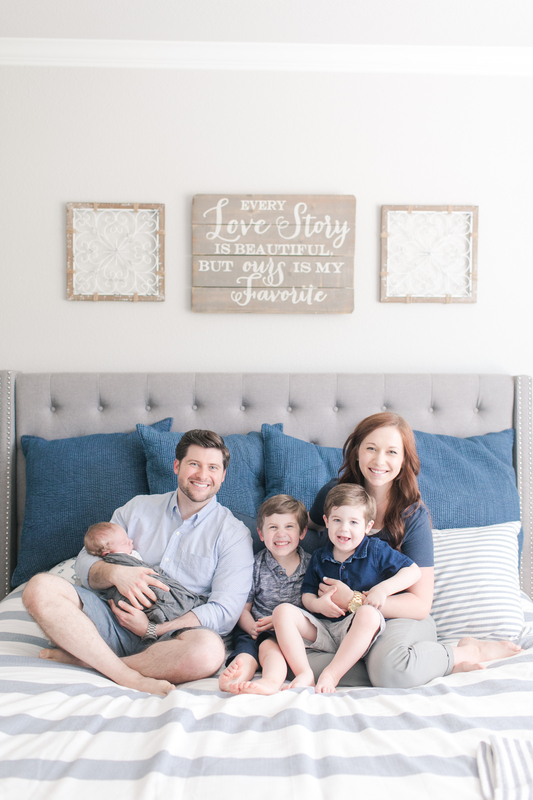 and I personally love crock pot meals because they alleviate some stress trying to make dinner during those crazy “where did my sweet stable-ish toddlers go” evening hours, so of course this went on my list of recipes to try this month. The ingredient list may look a little overwhelming, but it is a lot of seasonings, so it’s really not that bad. This dish is a little on the spicy side, so I definitely recommend making the cilantro lime sauce because I felt like it evened the meat out. Cut chuck roast into large chunks for easier shredding later. I just shredded the meat inside of my slow cooker but you could remove it, shred it and then return it if you wanted. Cut the bell peppers in half and scoop out the insides, and roast on a baking pan at 400 degrees for ten minutes. 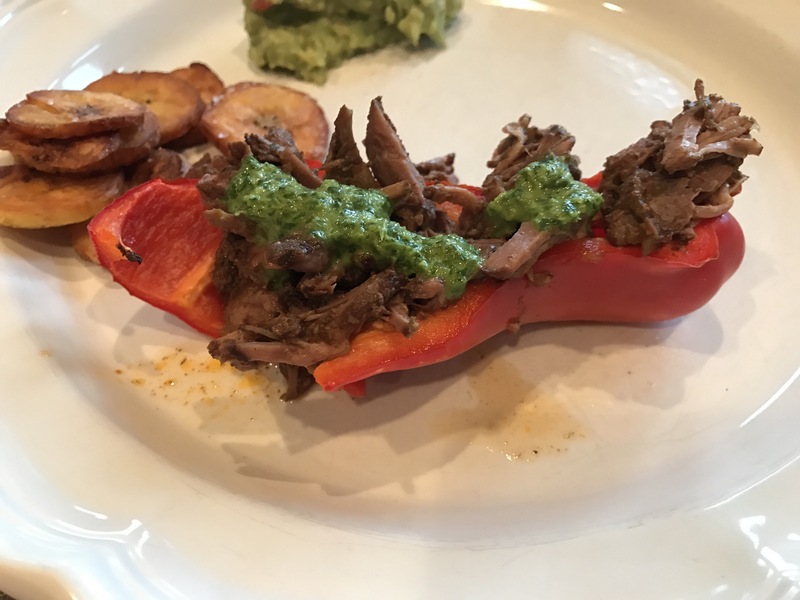 Remove the bell peppers from the oven and stuff them with the delicious barbacoa. Top with shredded cabbage and cilantro lime sauce. Enjoy! 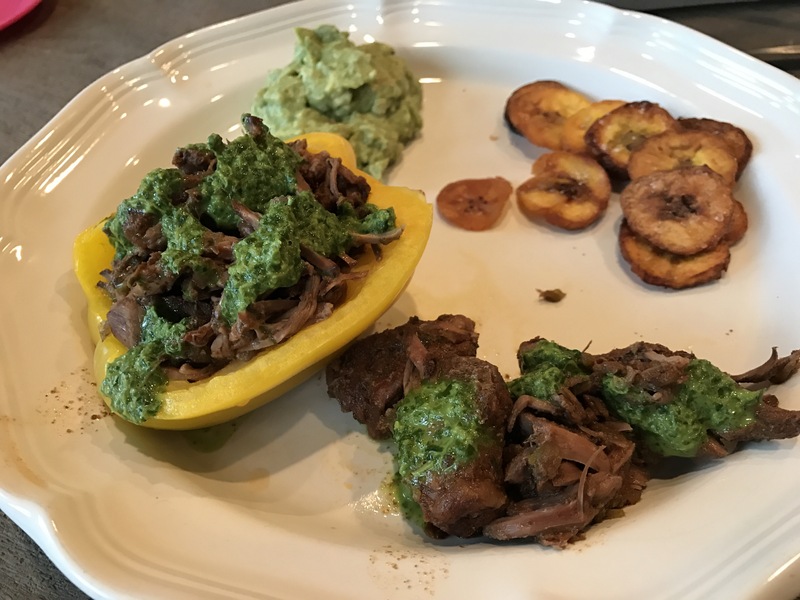 I also made some tasty plantain chips and fresh guacamole to go along with this dish! So tasty! Do it y’all! 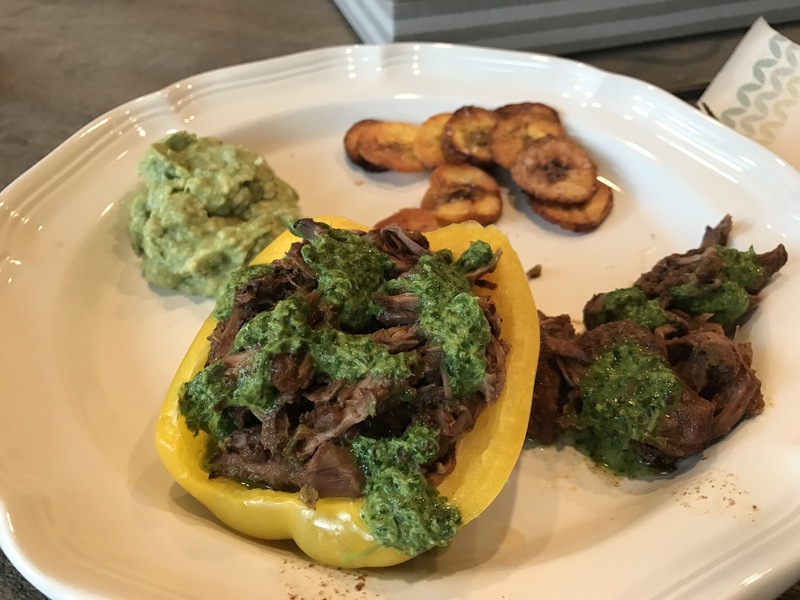 So update on this post… I’m kind of laughing at myself because I finally repeated this recipe and realized that I left out the mayonaise in the cilantro sauce haha!! So this picture shows you more of what it should look like. Tastes MUCH better with the mayo too!! !